Looking for ways to improve your students’ writing abilities? 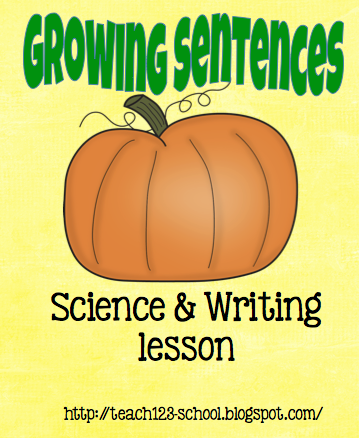 How about combining science and writing with a little bit of seasonal fun, too? Begin by reading a book or two about the life cycle of a pumpkin. Ask your students if they know what makes a pumpkin grow? 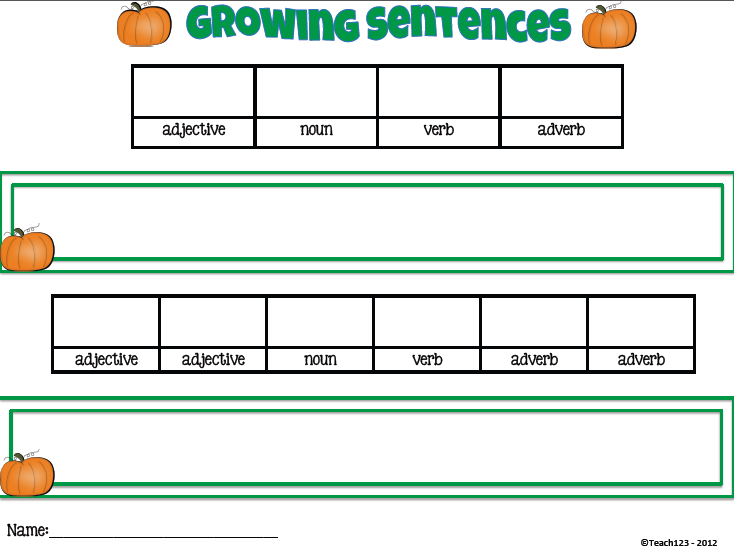 Then tell them that a sentence, like a pumpkin, can also grow. Ask them if they know what can help a sentence grow? 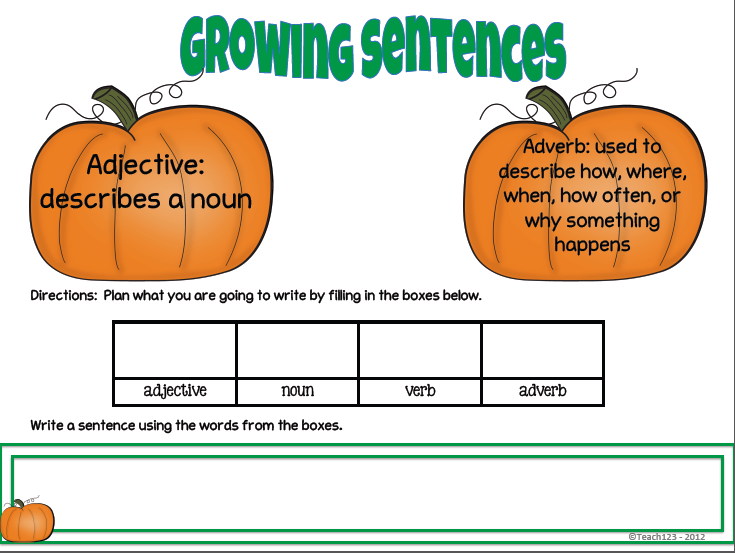 Tell your students that writers use adjectives and adverbs to give more details of their topic. These details make a sentence bigger and more interesting to read. Below are some worksheets you can use to practice this new skill. Click on the picture below to check out more great freebies! Looking forward to working on these with our Harcourt story "Pumpkin Fiesta". Thanks for the freebie! What a great graphic organizer. We have done the GLAD version but this is perfect for them to do on their own.